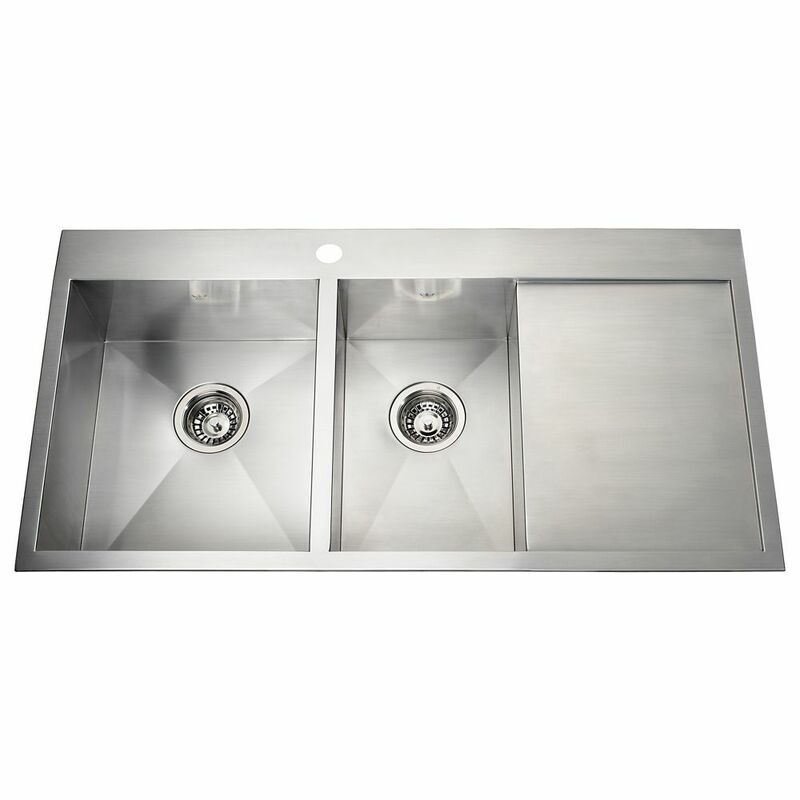 Featured as part of Acri-tec's Platinum Stainless Steel Collection, this sink is designed for drop-in applications. Made from a high quality type 304 18/9 stainless steel and polished to a brushed satin finish, this sink will easily stand up to the test of time and it will not stain, corrode, or rust. In order to minimize any sound, this sink has been carefully coated with a latex compound that helps to absorb and dampen any vibrations from regular use. (PC-D053) Also available in store by special order only see store for details. Featured as part of Acri-tecs Platinum Stainless Steel Collection, this sink is designed for drop-in applications. Made from a high quality type 304 18/9 stainless steel and polished to a brushed satin finish, this sink will easily stand up to the test of time and it will not stain, corrode, or rust. In order to minimize any sound, this sink has large polymer sound deadening pads that help to absorb and dampen any vibrations from regular use. (PC-D321) Also available in store by special order only see store for details. Kindred Combination RH UM 20 Ga sink - 19-3/4" X 28-7/8" X 8"
Compact two bowl undermount 20 gauge sink with small bowl right hand position. Sink features hard wearing satin finished bowls, sparkling mirror finished rim, and included waste fittings. Rear drain positions affords more storage below the counter. Quality assured with the standard Kindred Limited Lifetime warranty. 20 Ga HandFab DM drainerboard sink 1 hole drilling Two bowl hand fabricated 20 gauge dual mount sink with 3 hole faucet drilling. Sink may be installed above or below counter. Rear drains for more storage below. Bowls sloped to the center of the waste holes and drain lines for efficient draining. Commercial satin finish is a lovely complement to commercial look appliances, and easy to maintain.